Chiropractic Wellness Associates specializes in motor vehicle accident related injuries. We not only understand the treatment patients for these injuries but we understand how your insurance companies work and how to maximize your benefits. Many people do not understand the PA laws regarding auto insurance so here are a few facts that everyone should be aware of. The following info is according to PA Act 6 and the § 1721 Statute of limitations in PA. This article will explain the Do’s and Don’ts if you or someone you know is confronted with an auto accident. You must call your insurance company immediately or within 1-2 days following an accident and explain your injuries. If you do not feel pain right away you should tell your insurance that you would like to get checked by a professional as a precautionary measure. Many people do not feel pain from an accident for a couple weeks after the incident. The longer you wait the more difficult it will be to have your insurance cover your injuries. Even though the law states that any adult has 4 years and minors have 4 years from when they turn 18 to open up a claim, this is not enforced… We have had insurance companies deny coverage for patients in as early as 2 weeks from the date of the accident. Insurance companies will find any possible reason to deny your care and waiting too long to file is the most popular reason they find. Personal Injury Protection (PIP) is a mandatory coverage in PA. This is a basic no-fault type of medical insurance for your own medical bills. The minimum coverage required by law is $5,000. No fault means regardless of who is at fault for the accident, your medical bills (if you need treatment) will be paid through your PIP coverage. You are entitled to this protection and using it will NOT affect your rates or premiums in any way! So why is this important to seek treatment? Most low-speed fender benders cause more damage to the driver/passenger than the vehicle. These soft tissue injuries may cause chronic pain or accelerate degenerative changes in the spine and joints. Chiropractic care is one of the best ways to lessen these negative long term effects and help injuries heal properly. In a motor vehicle accident your head moves at a force of 10 G’s in less than 0.25 second and that force is what causes a serious whiplash injury. The Discovery space shuttle was only built to withstand a maximum of 3 G’s so you can imagine what kind of injury 10 G’s causes to your head and neck. At only 8 mph in a rear end collision, the transfer of energy to the head and neck has been measured to be 2½ times more than the energy impacting the car – this is known as “magnification of acceleration.” Excessive forces lead to injury. Just imagine the sound a bull whip makes when it cracks, that’s your neck in an automobile accident. 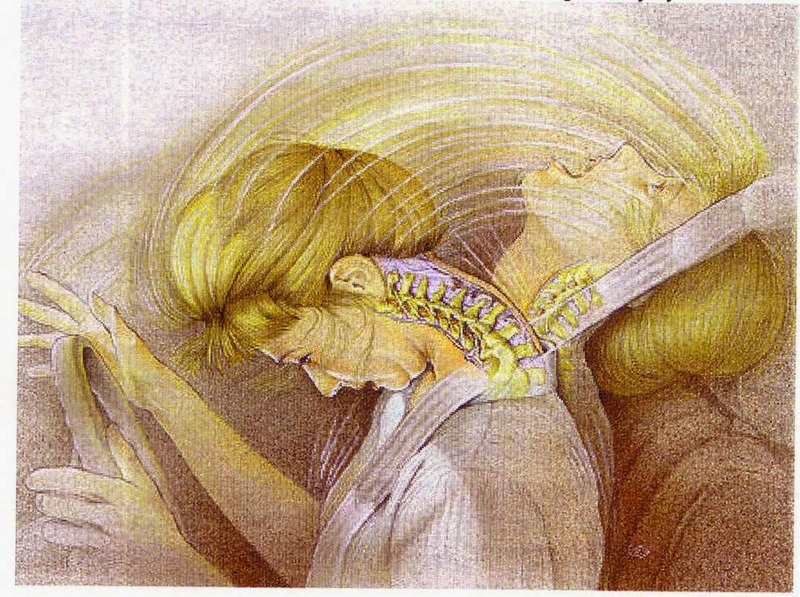 • 1,200,000 (40%) of whiplash patients will have restriction in daily activities. • 900,000 (30%) will suffer with long-term symptoms. • 300,000 (10%) will become disabled each year.